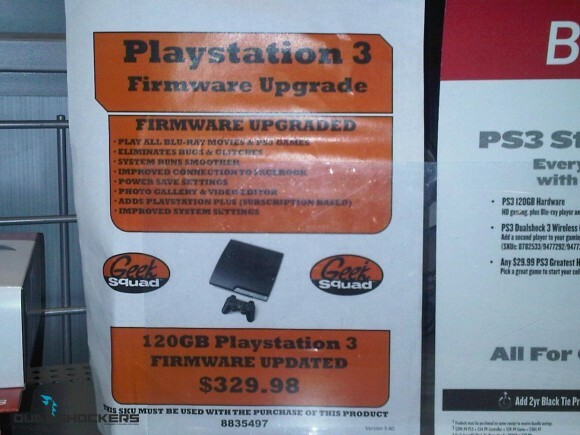 It appears as though Best Buy is screwing bilking non-tech customers out of their hard earned cash by charging them a $30 fee for upgrading their new Sony PS3 to the latest firmware. A practice which we see as very unscrupulous!! According to gaming site DualShockers, who originally reported seeing the advertisements at the Best Buy in Staten Island, New York City, Best Buy has the audacity to advertise a service that even the most un-tech friendly of users can do themselves.That's right folks even grand-ma can update the firmware on the PS3, its that easy! 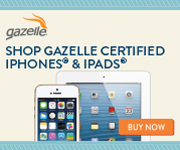 Bu the folks are misleading their none-tech customers and are charging them $30 for something that can be done for free at home! 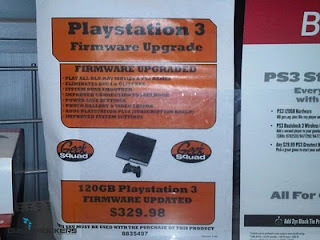 The issue at hand here is that the $30 'upgrade' that Best Buy is charging it's customers for is something that basically runs by itself on any internet connected PS3 for nothing. Yes that's correct folks it practically installs itself and I all but guarantee its easy enough anyone can do it. Performing a firmware update on the PS3 is as simple as going to the system menu and selecting system updates and requires nothing more than a few button presses on the controller (and of course an internet connection). "While many gamers can handle firmware upgrades easily on their own, those customers who do want help can get it from Geek Squad, and we continue to evaluate this offering to ensure it meets their needs," said a Best Buy spokesperson. "The service goes beyond a firmware updates, and includes user account setup, parental control setup and other components." Sadly many customers out there will see the deal and think its something they need to spend the extra cash on not knowing its something they can do on their own within a few mins times.